There seems to be a new trend taking place by a few of the online mattress companies: “One Size Fits All”. Is it just me or is there a socialistic undertone to selling mattresses online these days? Is the freedom of choice and diverse selection going the way of the Dodo Bird? My feeling is this, there is a ploy of extremely limited selection with over half these companies only offering one mattress. One mattress that can fit everyone leaves me resting very uneasy if you know what I mean. what a ridiculous concept that 1 firmness, 1 feel, and 1 support level can work for each and every one of us. After all we don’t drive the same cars, live in identical houses, wear the same size shoe our pants. We are NOT all the same size, same height, and same weight. Isn’t it kind of silly that they could think that we all have same tastes, same feel, or have identical support needs for our unique bodies? Really, the one mattress fits everyone approach is not only ridiculous to me, but is as laughable as everyone wearing one size fits all clothing and looking good, feeling good, and fitting good. Perhaps a one size fits all mattress works in their world, but for the majority of us we want choices and selection. 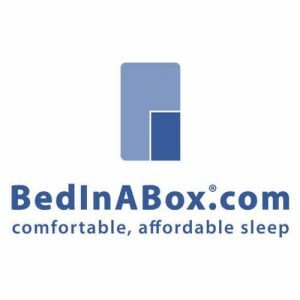 One of the most recognizable characteristics that most of these new online beds share is that they are compressed, rolled up, and squished down using a mattress roll packing machine while others are vacuum sealed. Regardless of whether they roll pack it or not, most have their unique way of packaging a great big mattress into a little bitty box. Which brings us to an important point, there are several advantages and disadvantages to this industry trend. While it may be good for the manufactures business model and profit margins there are few positive advantages for the consumer. Easy to navigate through tight turns, low over hangs and carry up through tight stairways. There is less storage space needed for warehousing. Can be sent via UPS or Fedex saving the manufacturer money by not having to transport by large trucks. This however does not necessarily translate to savings for the consumer. If left for extended time or stored in this state the materials ability to bounce back is likely to be compromised. Compressing a mattress can damage cell structure of polyurethane foam, memory foam, and latex. Online, this extremely popular group of boxed and compressed mattresses dominate their niche and is called roll packing. However, you will find that they have very few unique attributes that actually makes one better or worse in terms of how people buy mattresses: durability, comfort, or even your sleeping position. NOTE: Most of the boxed mattress builders we highlighted below have not been in business for very long. In fact most haven’t been around long enough to establish any real indication that they can construct a mattress to last the terms of their own published 10-20 year written warranties. Established in 2014 Casper’s claim is “It is the perfect mattress for everyone”. They go on to say that they take the best of two worlds, latex and high-density memory foams and put them together to create one perfect sleep surface that works for everyone. They believe that one mattress fits all as they explain on the FAQ page of their website. The bed meets FR Fire standards with their own proprietary flame retardant sock made of woven silica instead of flame retardant chemicals. Nearly 100 % manufacturered in the USA. Condensed into box for delivery. Again like “the most well-known compacted mattress” they market their mattress claiming and we quote: “Made for all sleepers”. Offered with a limited edition cover called the “Leesa Artlifting Limited Edition” and like the others we are discussing a major down side is that there is only one firmness to choose from. This is an extremely young company having only been in business since 2014. On the plus side it is made in USA. Their green initiative is NOT focused around the mattress construction materials which is disappointing. Their ecofriendly practices instead take a much different approach having partnered with the Arbor Day Foundation claiming to plant one tree for every mattress they sell. The mattress is condensed into a single box for delivery. We view this bed as a deliberate attempt to capitalize on the most well know brand out there “Casper”. Can it live up to Casper’s young reputation or this just a caricature of the original ghost bed “Casper”? Is it as good? The better question is either brand up to par with mainstream established brands like Sealy, Serta, Simmons and Tempurpedic? Only time will tell. Ghost Bed Established: NA, but finding information only as far back as 2015 and they offer a whopping 20 year warranty. This ghostly bed is also is delivered compressed in a box. Manufacturing of the Purple Bed approximately 2013 according to their web info. Not a great wealth of information about the manufacturing process of the Purple Bed on their website. Even their start date was hard to research which seems to be approximately 2013 according to the info I was able to find. A lot of marketing and hype behind this product, but not substance to back up the durability of this bed long term. This online mattress company came into the market place in 2009 and like the others offers a 15 year warranty. The line up does offer more selection with 3 models to choose from. While they do claim lower eco impact on planet and people the only mention of how they did this way by keeping mattresses out of landfills and using sustainable materials but no listing of what those material are like other online companies. They go onto claim that they use no harmful materials or chemicals, unfortunately we were unable to find any independent third party verification or certifications backing up these claims. There were not many detailed specifications for this mattress and date of inception was not available. They claim that their mattress brings together the best characteristics of memory foam and latex. The foams they use are claimed to be CertiPUR Certified foam that are used in their mattress production which does under the polyurethane foam industry. Through our research we cannot find any evidence of latex in this bed’s construction meaning it would be impossible to gain the benefits of latex world as the builder claims. T&N Adaptive TM Foam engineered a new foam that it claims is able to capture the benefits of both memory foam and latex while leaving their negative attributes behind. Strong green initiative for this product since their claim says that it does not contain any fire retardant chemicals and is certified to be free from PBDE’s. Tuft & Needle was founded in 2012 and is made in the USA They call it T&N Adaptive™ Foam. Supportive Base Layer is hyped as a paired 2 layer mattress, but no technical details are shared. A review website Sleep Like The Dead had it listed the they specification and was shared them below. This is their “original bed in a box”. Since its inception in 2004 four additional models have been added. There is a green initiative on their par if you consider memory foam to be “green”. Their memory foam does carry the CertiPUR-US certification and their latex foam rubber which seems to no longer be on their website has earned a similar certification from Oeko-Tex called the Oeko-Tex Standard 100 Class 1 certification. Made in USA and condensed into box for delivery. Also foam density and ILD is not shared nor is they type of foam. Example high density or high Resiliency. This can help determine mattress quality and firmness. These beds are not cheap when compared Casper which comes in at a lower price point. Buyers must keep in mind like all other comparable mattresses in a box they do not include the foundation/ boxspring. Condensed mattresses like these normally will still require their 8″ American Hardwood Foundation and the 8″ Clever Connect™ Mattress Foundation if you do not have a platform bed or intend to use it on the floor. 2″ Natural Silk Cover but does not contain the exact number of ounces of silk used in the manufacturing of the cover. Usually in these instances there is not enough to reep any real benefit as mentioned in articles like Consumer Reports. While the Saatva Luxury Innerspring Mattress and Sister company Loom & Leaf Saatva are not roll packed mattresses they are often grouped with the above mattresses because of their simplistic online marketing approach. Saatva is a member Sustainable Furnishing Council who is industry recognized for their strong green initiative.The company opened in 2011 and offers a 15 yr. warranty which has been know to raise some concerns due to lack of company longevity. Saatva shares detailed specifications about their 3 Saatva products and yes I said products. Unlike most of their above competition they have 2 additional beds to choose from. They do offer a memory foam line (Loom & Leaf) which offers consumers the choice of beds. Splitting the brands dumbs down the process and simplifies the selection process for the consumer looks to be their goal and they seem to be succeeding at this unique way of marketing. We agree with Saatva that a finished mattress should never be crammed into a box and they proudly exclaim that the Saatva and L&L bed is delivered complete and set up in your home, with nationwide delivery. (NOT in condensed box). We do not agree that their 14.5″ Premier Luxury and our 11.5″ Custom Slim mattresses are purely an aesthetic choice. We believe while similar in feel they are “not exactly” the same feel. Sitting side by side we believe most people could feel the difference. L&L is the luxury memory foam mattress by Saatva- Relaxed Firm (Flagship) or Firm. Like many of the online companies we are highlighting Loom and Leaf has a green initiative and it starts with being members of the Sustainable Furnishings Council (SFC). The also use plant-based oils in their foam production. Instead of using 100 % petro oil they substitute typically around 30% of the oil used to make foam from corn and soybeans which of course is sustainable. Currently we have been able to find anyone who successfully builds a quality foam using 100% plant based oil substitutes. One sad note Loom and Leaf’s online comparison they condemn their competitor Tempur-Sealy® for being the makers of Tepurpedic (who actually owns and oversees their very own factories used during the manufacturing process of Tempur Pedic mattresses). On the other hand, Loom and Leaf utilizes 18 “partner factories” nation wide that are NOT owned by them (Saatva / Loom & Leaf). We highlighted this company because of their strong online footprint while also being different because they do NOT roll pack or compress their mattresses. We do believe you can find equivalent mattresses in brick and mortar stores at their advertised prices. Saatva opened in 2011 and like the other companies put a 15 year guarantee on their beds.